Join comedians Larry and Aaron along with non-important Brian, full of opinions Burton and resident legal expert Daniel while we chat about current topics in the world of comedy, video games, science fiction, nerd culture, movies and Star Wars. Lots of Star Wars. 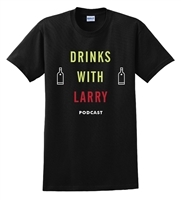 The Drinks with Larry apparel line helps support the show. 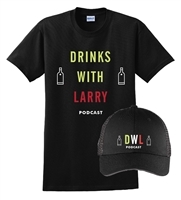 Reach out to us on Twitter @drinkswithlarry or drinkswithlarry@gmail.com to join us for a drink!